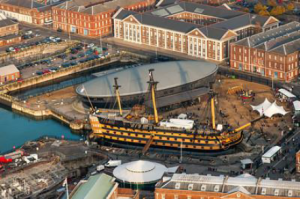 Portsmouth Historic Dockyards is the venue and focus for the next IHBC South Branch CPD event, with its ‘Naval Gazing Day’, with a programme of fascinating talks and expert tours in and around the Mary Rose Museum, with costs at £40 for members and £60 for non-members, including lunch. This IHBC South Branch conference explores how some of the nation’s most precious naval assets are cared for as well as the docks and buildings which house them and their related heritage. The event includes a buffet lunch served in Boathouse 4 Restaurant, which has stunning views across the waterfront and the historic boatbuilding works.